Gutter rash on your alloys………. Think SMART and call SMART Paintworx. Not only do you get a free no obligation quote for the repair of the gutter rash on your alloys but it’s also fast, inexpensive and convenient. Sending a photo of the gutter rash on your alloys can get you well on the way to having the damage repaired. Our friendly team are ready to take your call and quote on your repairs. 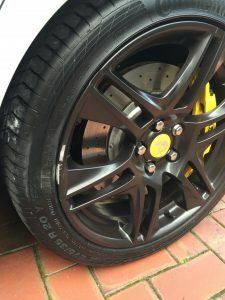 We can either quote and book in on the spot for the first available time to have the gutter rash on your alloys repaired or you can take the time to think about it and call to book in at a later date. With our pricing being so competitive and our workmanship being top notch I have no doubt we’ll hear from you again. Gutter rash, kerb damage or just the clear coat peeling, this is our specialty. 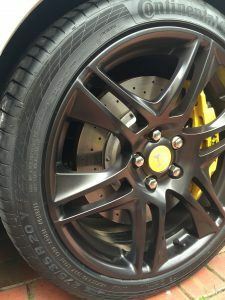 SMART Paintworx take great pride in repairing your alloys to their former glory and as this is a mobile service it just doesn’t get any better. This entry was posted in gutter rash on your alloys and tagged gutter rash. Bookmark the permalink.